Look Good/Feel Good with Professional Treatments! Join our exclusive membership program and be part of a routine that helps you to look and feel your best. Our packages are focused bundles of services that are customized to help you achieve your personal goals. Enjoy the benefit of package pricing without paying for an entire package upfront. Your debit card will be billed monthly. Zero dollar enrollment. 6 month commitment to join. Members receive 10% off of all skincare products for the life of their membership. Bronze Level Basic Bodywork package includes one massage a month at $60 (value of $80). Silver Level Facial Rejuvenation package includes one HydraFacial MD a month at $150 (value of $199). Gold Level Total Body Rejuvenation package includes one Image Skincare Facial & 1 hour massage a month for $150 (value of 200). Rose Gold Luxury Facial Rejuvenation package includes one HydraFacial MD and 1 hour massage a month for $210 (value of 279). Platinum Level Facial & Body Rejuvenation package includes one HydraFacial MD, 1 C.A.C.I. Microcurrent, and 1 hour massage for $350 (value of 500). Diamond Platinum Fountain of Youth package includes 1 HydraFacial MD, 1 Organic Spa Facial, 1 hour massage and one month supply of Yana daily collagen supplement. This level also receives 10% off of Botox & Fillers. SilkPeel Dermalinfusion resurfacing treatment to improve acne/scarring, fine lines & wrinkles and tighten pores for $133 a month (value of $160). 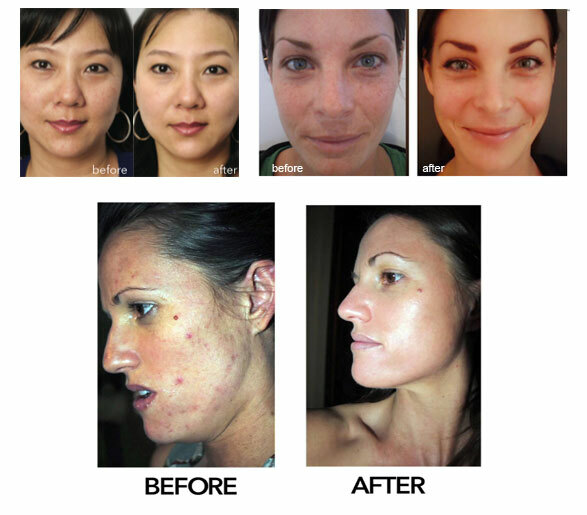 SilkPeel & Chemical Peel includes 3 SilkPeel Dermalinfusions and 3 Perfect Derma Peels to completely resurface, tighten, tone, diminish hyperpigmentation (even Melasma) and acne/acne scarring for $192/month (value of $230). Sublative Resurfacing to treat hyperpigmentation, acne, stretch marks and tone and texture of the skin for $250 (value of $500). Sublative & Sublime Resurfacing and Tightening to improve wrinkles, sagging of the skin and reduce pore size for $300 (value of $600). Call or stop by and talk to one of our friendly team members for more information. 985-641-5476. Love the skin you're in!